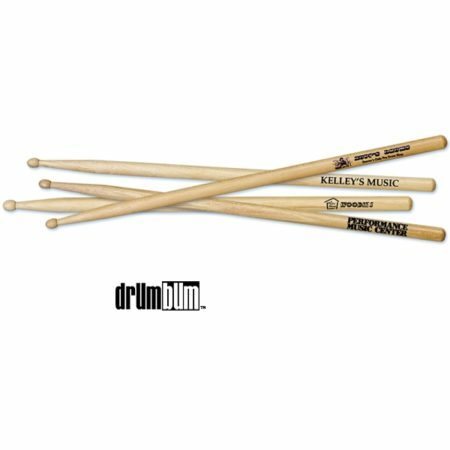 Custom Imprinted Drumsticks | Put your name / brand on professional drumsticks. Custom Drumsticks Artwork Requirements: Vector format is preferred: ai, eps, pdf. Other formats accepted are .jpg and .psd at 300 dpi. It is always recommended that layers are flattened and fonts are converted to curves or rasterized. We do not offer returns on custom imprinted merchandise. Allow 2-4 weeks for production.